Depp has been accused of domestic violence by his former wife, Amber Heard, but maintains support from the creative team behind his upcoming likely-blockbuster. “Harry Potter” star Daniel Radcliffe told Entertainment Weekly that he “can see why people are frustrated” with his iconic character’s creator — “Fantastic Beasts: The Crimes of Grindelwald” screenwriter/executive producer J.K. Rowling — and more of his former collaborators for their decision not to recast Johnny Depp in the upcoming film. Depp’s ex-wife, Amber Heard, has accused the three-time Oscar nominee of domestic violence during their marriage, which officially ended in January 2017. Between late November and early December 2017, after the launch of the #MeToo movement, Rowling, the film’s director David Yates and producer David Heyman, and Warner Bros. all defended their decision to keep Depp as the titular character, dark wizard Gellert Grindelwald, although Rowling once considered finding another actor. Radcliffe offered an admittedly “weird analogy” about how professional American football insulates its biggest stars from punishment when they do something wrong. “In the NFL, there are lots of players arrested for smoking weed and there is other people’s behavior that goes way beyond that and it’s tolerated because they’re very famous players,” Radcliffe said. Then Radcliffe echoed fans of the Rowling wizarding world who’ve wondered why Depp gets to stay when Jamie Waylett — the actor who played one of Radcliffe’s tormenters, Vincent Crabbe, in six “Harry Potter” films — was excluded from the last two after pleading guilty to growing 10 marijuana plants in his mother’s home. “We did have a guy who was reprimanded for weed,” Radcliffe said. “Obviously what Johnny has been accused of is much greater than that.” Waylett was later arrested again after he was seen holding a homemade bomb during the 2011 London riots, but he was found not guilty of intending to destroy or damage property. 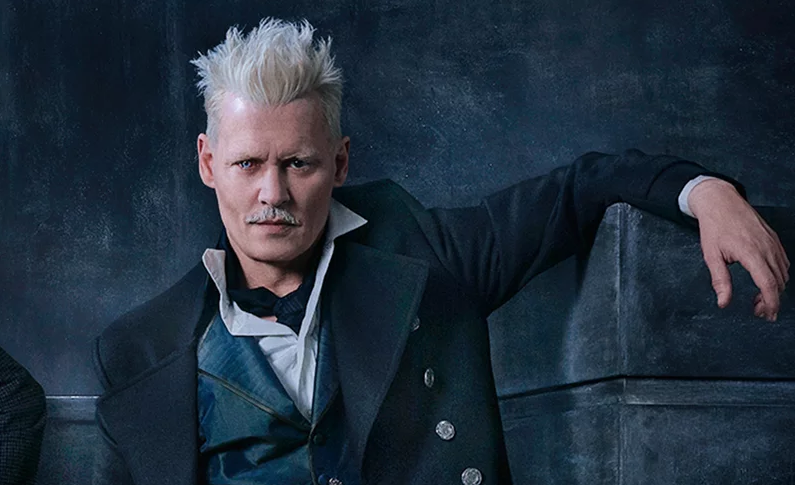 Out November 16, “Fantastic Beasts: The Crimes of Grindelwald” was preceded by 2016’s “Fantastic Beasts and Where to Find Them,” which won costume designer Colleen Atwood her fourth Academy Award and earned $814 million at the worldwide box office. Depp’s cameo in that film was a well-kept secret prior to its release. “Fantastic Beasts and Where to Find Them” is the name of a textbook read by those enrolled in Hogwarts School of Witchcraft and Wizardry, the institution attended by Potter and his magical peers in Rowling’s seven books.